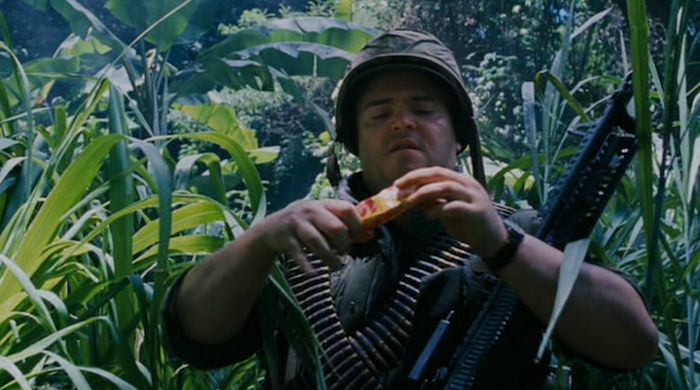 It's only been out for 8 years now, but "Tropic Thunder" is already a comedy classic. Here are some fun and interesting facts you probably didn't know about this comedy epic. 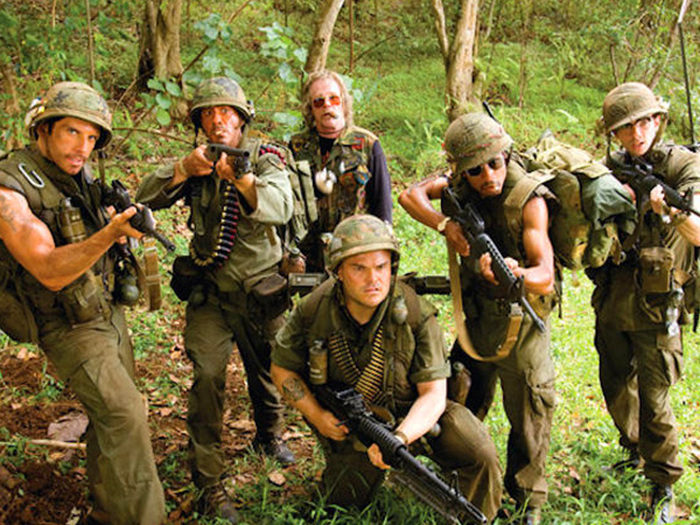 “Tropic Thunder” is one of those rare Hollywood satire films that actually hit the nail squarely on the head. 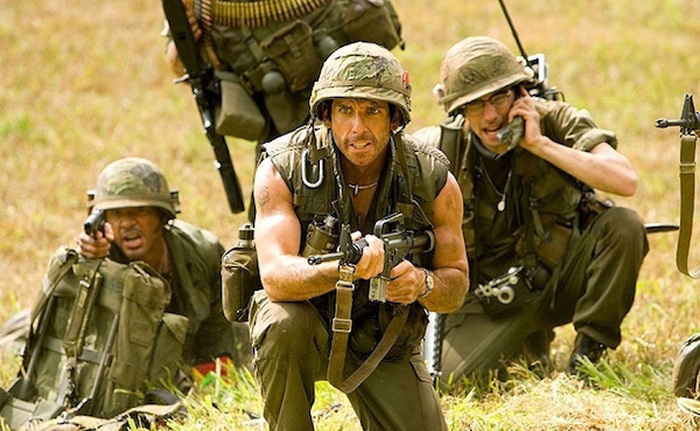 Co-written and directed by Ben Stiller back in 2008, the movie was about a group of mostly conceited, self-absorbed actors shooting a war movie. Here are a few facts about the film that will likely make you want to go watch the movie again. Initially, Stiller envisioned Keanu Reeves playing the role of Tugg Speedman. He considered casting Reeves as Speedman, and keeping the role of agent Rick “Pecker” Peck for himself but he later changed his mind. Alpa Chino was supposed to be played by none other than Mos Def, but he turned down the role. The actor and recording artist wanted to change Alpa Chino from a rapper to an R&B musician, but the writers disagreed. 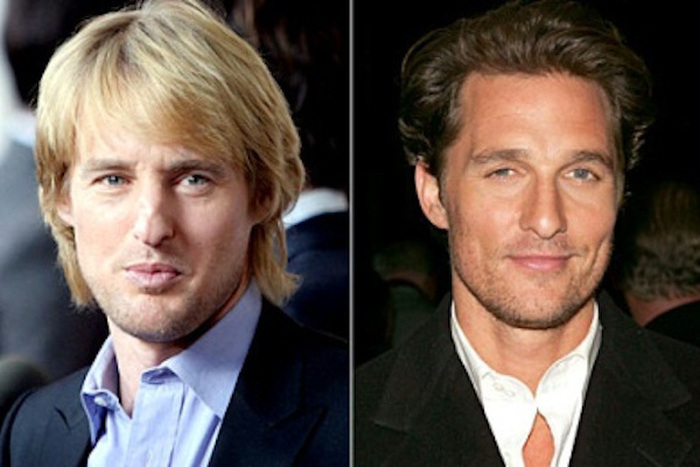 Owen Wilson was originally cast to play the role of Speedman’s agent, Pecker. Wilson dropped out after an apparent suicide attempt. Matthew McConaughey replaced him. The idea for Tom Cruise playing a studio head actually came from Cruise himself. Stiller approached Cruise about playing the agent Rick Peck and sent him the script. 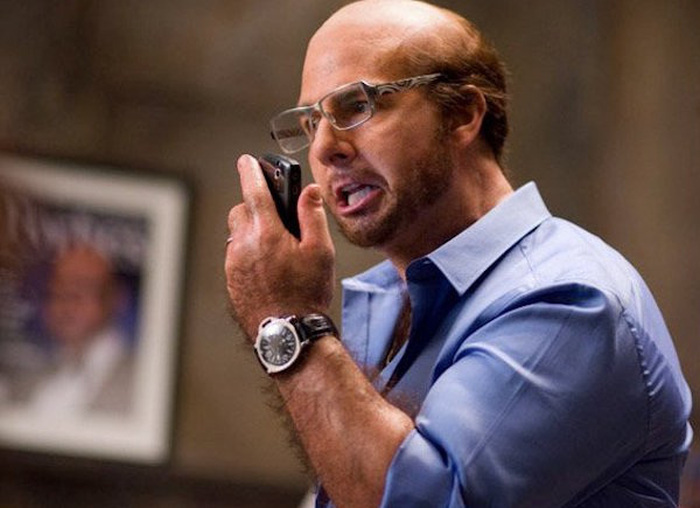 Cruise thought it was funny, but wondered what the studio would be doing while all of the film’s events transpired, so the role of Les Grossman was created. The idea for the film actually came from Ben Stiller back in 1987. Initially, the idea was to make a comedy about actors who go off to do war movies, come back, and are forgotten, paralleling the experiences of some actual war veterans. Then he realized that idea wasn’t that funny. 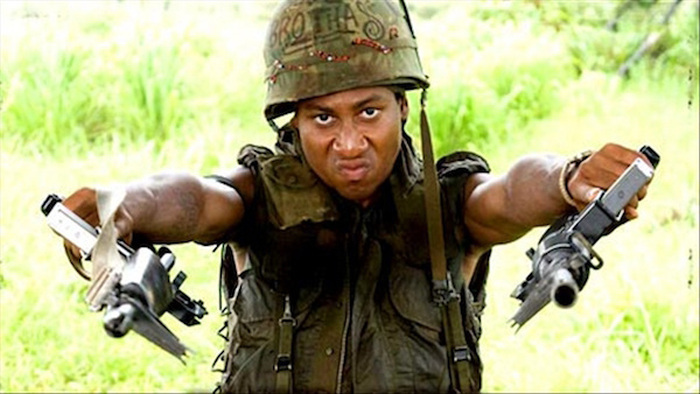 The first cut of “Tropic Thunder” was three and a half hours long. Stiller could only find 20 minutes that he would consider taking out, yet the theatrical cut was only 107 minutes long. 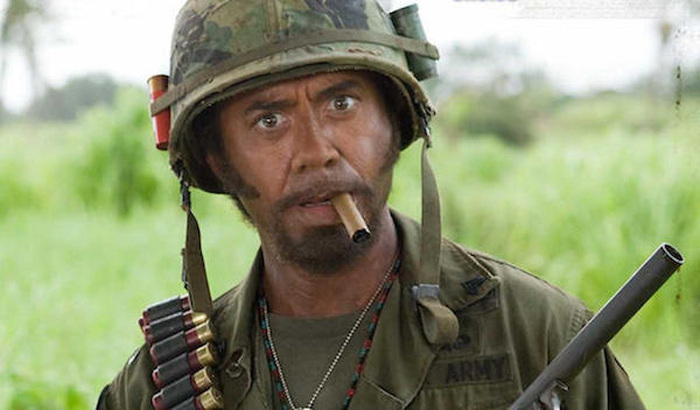 Like his character, Kirk Lazarus, Robert Downey Jr. is a method actor and stayed in character as Sgt. Osiris/Lazarus even while cameras weren’t rolling. So, he was method acting while method acting. 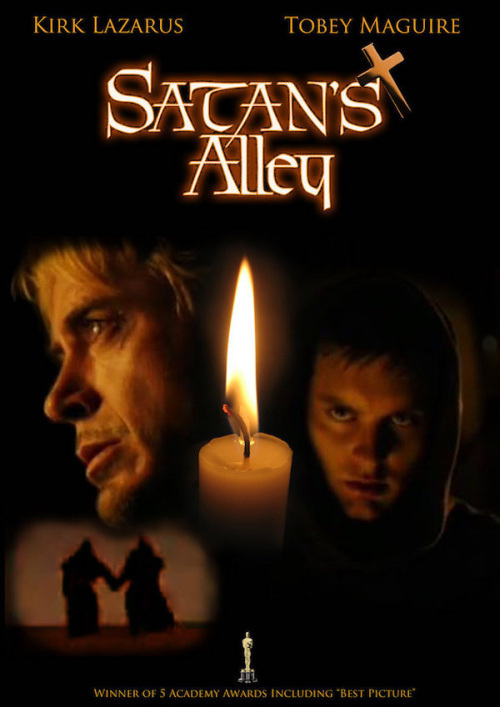 For the fake trailer, “Satan’s Alley,” Tobey Maguire came in at the very last minute to film the role of Robert Downey Jr.’s monk lover. He did it as a personal favor for Ben Stiller and Wonder Boys (2000) co-star Downey. 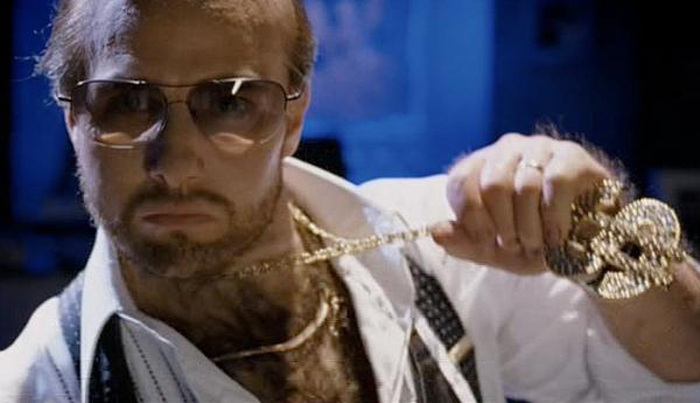 Grossman’s role was supposed to be a surprise. Cruise wasn’t in the trailer and no images of Grossman were in the press kits on purpose. Cruise’s lawyer threatened legal action to media outlets that posted leaked images of Cruise as Grossman before the movie debuted. It was traced back to an INF staff photographer. 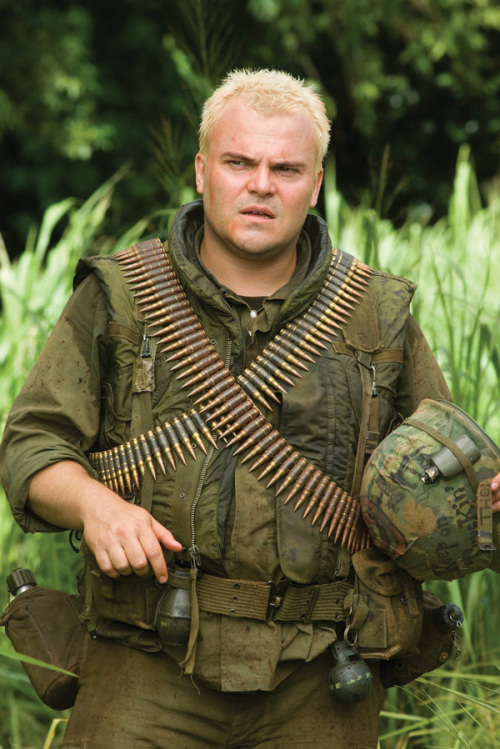 It was said by Jack Black himself that he declined his role in Tropic Thunder due to the fact he would have to color his hair blonde. He soon changed his mind, but was not too pleased. 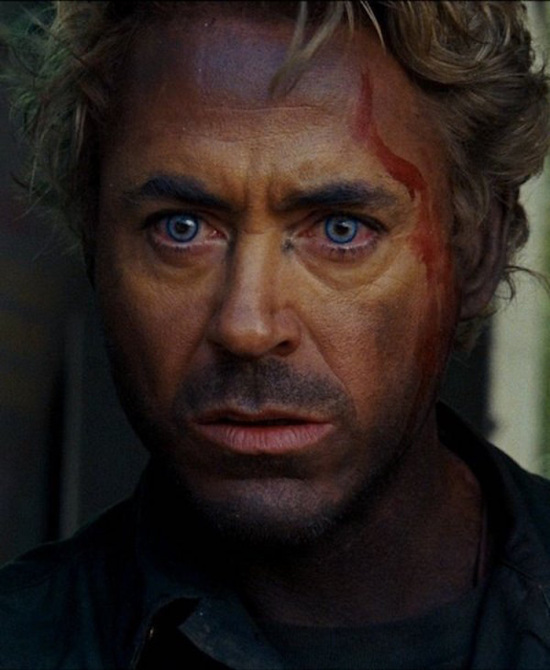 In the film, Kirk Lazarus says “I don’t drop character ’til I’ve done the DVD commentary.” When recording the audio commentary for the unrated DVD and Blu-ray, Robert Downey Jr. actually spends the entire commentary in the character that appears on the screen as the movie progresses. When shooting the fake trailer for ‘The Fatties,’ Jack Black needed to put on giant fat-suits that actually took quite some time. He was known to put in his headphones, listen to NPR and nap while they were doing it. Jack Black deeply bruised his ribs. “I was running with my big gun, and I dove into a foxhole. I landed funny on the gun, and it bruised my rib. That bruise lasted six weeks. You cannot breathe all the way without it hurting,” he said. Ben Stiller has openly acknowledged that it was a difficult film to make. After shooting in Kauai for 13 weeks, Stiller handed out T-shirts to the cast and crew that read “I SURVIVED BEN STILLER’S COMEDY DEATH CAMP.” A couple of people required hospitalization after getting centipede bites, and there was a constant fear of the Leptospirosis virus.